It's never too early in the party season to don a bit of festive sparkle. And Amanda Holden certainly didn't hold back in a brilliant gold ensemble for tonight's Cosmopolitan Ultimate Woman Awards. The 40-year-old presenter looked stunning in a fitted gold dress, making no secret of her growing baby bump. And it certainly turned out to be her night, as she picked up the award for Ultimate Theatre Star. Amanda looked gorgeous as she proudly showed off her award, accentuating her still-slim legs with a towering pair of gold heels. Meanwhile Blondie singer Debbie Harry picked up the Award for Ultimate Icon, which was presented to her by fellow pop star Kylie Minogue. Kirstin Hallenga won the award for Ultimate Campaigner, while Nicole Campbell was voted the Ultimate Survivor. Also on the red carpet for the Cosmopolitan even was X Factor judge Tulisa Contostavlos, in a one-shoulder red dress. Though the one-sided sleeve looked a little bulky, which was slightly unflattering, the star looked great with her hair in a side bun. She had an extra reason to smile tonight, as she paid a visit to the dentist earlier today and appears to have had her teeth whitened, with the result putting Simon Cowell's veneers to shame. The N-Dubz singer was spied visiting a dental practice, and looked eager to flash her dazzling grin as she left the Mayfair Hotel earlier this evening. She brought along her girl band, Little Mix, who turned up looking glamorous but were without their fourth member, Jesy Nelson. Leigh-Anne Pinnock showed off her trim figure in a gold bandeau dress from online brand, Forever Unique, whereas Perrie Edwards and Jade Thirwall opted for monochrome combinations. Also in attendance was her co-panelist Kelly Rowland- though the pair steered clear of each other on the red carpet. Kelly appeared fully recovered from the throat infection which saw her miss last week's show, in a floor length hot pink dress. 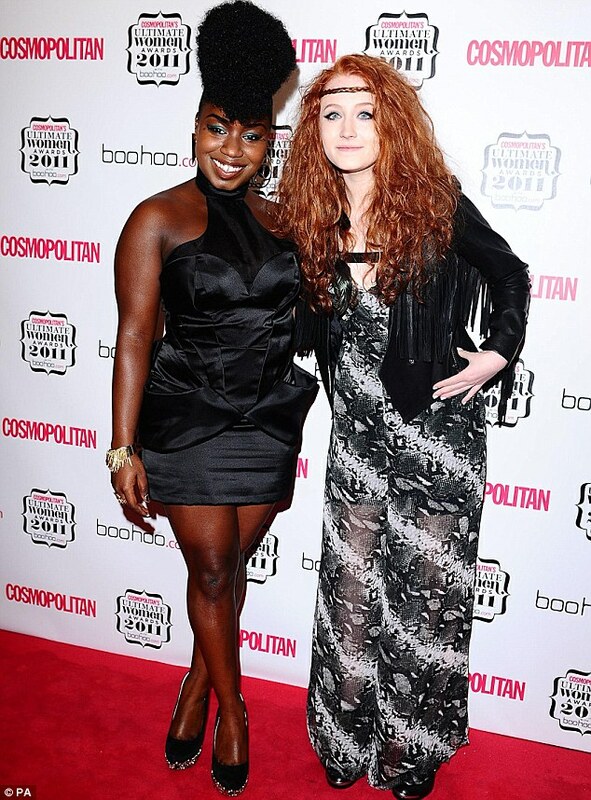 The Destiny's Child star brought along her X Factor contestants Janet Devlin and Misha B. Meanwhile Fearne Cotton looked very slim indeed in a short white dress with lacy sleeves. The presenter and designer showed off her slender legs, and exposed the star tattoo on her right foot. Abbey Crouch showed up in a very strange turquoise dress with a cutaway section above the chest and heavy eyeliner. Like Tulisa, Strictly star Holly Valance opted for a one-shoulder look, though she chose a floor-length black gown- complete with 'Come Dancing-style sequins. Britain's Got Talent judge Amanda revealed in August that she and Chris were expecting again after tragically losing a baby boy last year. The pair are already parents to five-year-old daughter Lexi. And she has told how she is convinced this pregnancy will be positive. She said: 'This time I just know everything is going to be fine.